In an opinion that quotes Emily Dickinson, US District Judge Denise Cote has approved a price-fixing settlement between the US Justice Department and publishers Hachette, HarperCollins and Simon & Schuster. The case will proceed to trial in 2013. The three publishers will now have to negotiate new contracts with e-book retailers, including Amazon, Barnes & Noble and Apple. The new contracts will return the power to set prices to the retailers. Publishers will be barred from setting the prices of e-books for two years. Attorney Bob Kohn was given the opportunity to express his opinions regarding the propsed settlement during the public comment period. Unfortunately, his original 25-page brief was rejected by the court, since it was largely redundant. Accordingly, the 5-page limit was a reminder to Kohn to address only new arguments that were not already briefed. The argument presented in the cartoon strip below is largely the same as the argument presented in his rejected brief, but it helps non-lawyers see the complexity of the case. Because the cartoon is a real first in this business, we present it in its entirety in the infographic, as well as some revenue data from Amazon that illustrates why consumers might worry. By the way, sign up for our blog – it is FREE! E-book price-fixing settlement: #DrKPI – My.ComMetrics infographic – What a cartoon strip and some ROI numbers teach us about the e-book case. You can use the infographic, “E-book price-fixing settlement” on your website or blog – simply copy and paste the code below. Source: Why a cartoon may change e-books [infographic] from DrKPI: My.ComMetrics, CyTRAP E-book price-fixing settlement – who wins? A great infographic can sometimes convey information better than text can. One drawback to such creative methods is that it works only a small number of times before novelty wears off. Maybe the next cartoon brief will get lost in the noise. As far as the question posed above: Will this cartoon strip change the e-book business? Yes and no. The judge did not change her mind because of it. Nevertheless, the cartoon strip makes the issues that are addressed in this settlement accessible to a far larger audience and while we may diagree with some of Kohn’s points, it does get the message across. Finally, the issue is not what this ruling means for today’s e-book prices, but what happens when Amazon has eliminated most independent bookstores that currently sell e-books. 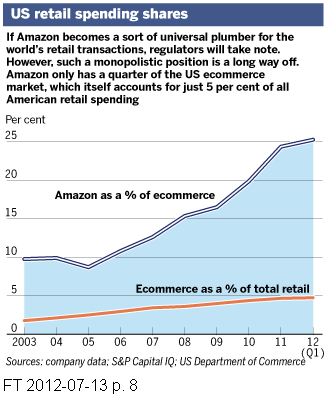 Amazon gains market share by underselling everybody and subsidizing shipping costs (see infographic above). As a result its profit margin is dismal. Is a business with a 2 percent profit margin viable? The judge handed Amazon another lever that solidifies its indispensability as a retailer. They may force a further drop in wholesale prices to a level that is unsustainable for the publishing business. What do you think? I believe list prices will climb. More resources about infographics, e-books, etc. – Google, Amazon, Apple and e-book issues – legal wrangling… (just click the URL to query and get some very interesting results – more ComMetrics content). I look forward to your thoughts and comments below. 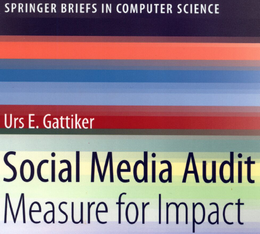 His latest book, Social Media Audit: Measure for Impact, will appear in October , 2012 from Springer Science Publishers. This is a really nice infographic. Nevertheless, I am not sure if I agree with your estimation tht the ruling might result in higher prices for books. Regarding the infographic. I like it… not too much information not too little. Nevertheless, I found the statistics about Amazon’s market share very interesting and the comparison to Walmart revealing. Nice to read another comment of yours. Only the future will tell us if my estimation is correct regarding higher prices in the not so distant future due to this settlement. Of course there is still a court case…. Thanks also for the feedback regarding the infographic. I am still trying to improve here and I am thankful for any feedback or suggestions. I would not mind if cartoon infographics were used in future court hearings. It definitely does make a technical case such as this more understandable. Thanks for sharing this. Nevertheless, I think using cartoons in court hearings has its advantages and disadvantages. Advantage as you point out is to make things understandable for the average person who is not a lawyer. That in itself is, of course, great. One might even claim that what was said in the cartoon strip (5-pages) could have been done in two pages of text using bullets and other means to make it easy to follow the train of thought. I may have to defer on this to @shawnetuma:twitter and @rondrescher:twitter who are the experts. I was impressed by the IDEA of using the cartoon for a 5 page brief, but not so much the execution. It was really just a bunch of text jumbled into drawn panels, difficult to read and failing to communicate any drama. I was not drawn into the conversation between the father and daughter, I thought it was very much an artificial device. 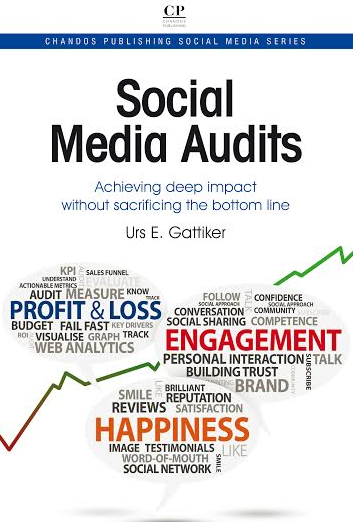 And I agree that another approach such as bullet points may have been more effective. Also, we’re not seeing the underlying problem in the whole setup: I believe this judge was tired of the arguments in this matter and had already made up her own mind. She simply allowed one unhappy litigant to make one more argument, but not at the expense of herself or her staff. Thus the 5 page limit. @twitter-33668872:disqus Ron thanks so much for this feedback. Yes agreed, I think the cartoon re-states what Bob Kohn already mentioned during the case hearings (also he was only an observer not a lawyer for one of the litigants as far as I found out). I find in a case like this it allows some people to get the overall message but reading five pages of nicely crafted text would tell us the same (nice headers, bullets, etc.). @RonDrescher:twitter thanks so much for sharing and have a great weekend.